Dhiffushi Island is part of the Kaafu Atoll and it’s ideal to experience relaxed Maldives family holidays. It is located 36,6 km northeast of Male, the capital of the Maldives. It’s a compact island with a strong community spirit of 1200 people. It’s not large enough for agricultural activities but it has plenty of greenery, coconut and fruit trees. Not to forget to mention, there is a beautiful white sandy beach with calm turquoise waters on the one side. The other side is ideal for wind surfing due to strong but consistent wind between Dhiffushi and it’s neighboring resort island. The island has a great infrastructure and facilitates a few restaurants (definitely visit Faruma Restaurant with it’s delicious, big portions and acceptable prices) and local shops. On the island you will find a couple of guesthouses. The touristic industry is growing so more and more hotels are being built. Which actually doesn’t make sense because there is only one lovely beach situated just next to the cute guesthouse Bibee. The guesthouse is located next to the beach with plenty of lounge chairs and parasols. It’s the perfect location for snorkeling: The water is warm, extremely calm and shallow so you can explore the sea world filled with colorful fish of all different sizes and even manta rays, you can also go kayaking or be a bit wild on the jetski. Don’t be surprised that the island might be dirty and full of plastic bottles on the other side of the touristic beach. Like every other Maldivian island it contains huge amounts of rubbish washed up on the island’s pristine sands. There are various options on how to reach the island. For budget travelers the ideal choice would be to take the public ferry from Male. It departs at 2:30 PM every day except Friday. It also goes back from Dhiffushi to Male’ at 6:30 AM every day except Friday. It will cost you MVR 22 ($1.5) and within 3 hours you will reach your destination. The impatient tired travelers can take a speed boat for $25. It operates every day except Friday from Male at 4:30pm. Departure from dhiffushi to Male is at 7:30am and it takes 40 minutes. Bibee Guesthouse can also arrange a speedboat transfer directly from Malé International Airport for a steep $295 per trip, it takes around 40 minutes. 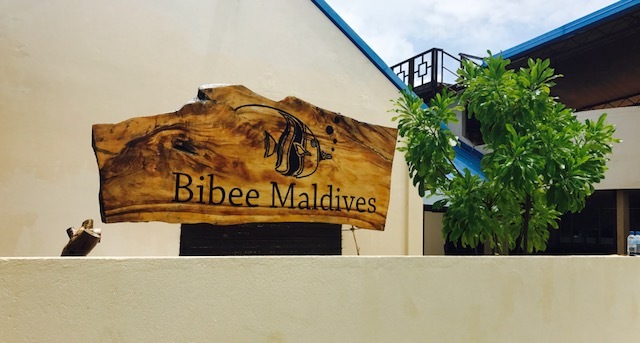 The best guesthouse to stay on Dhiffushi island is Bibee which translates as butterfly fish in Maldivian. 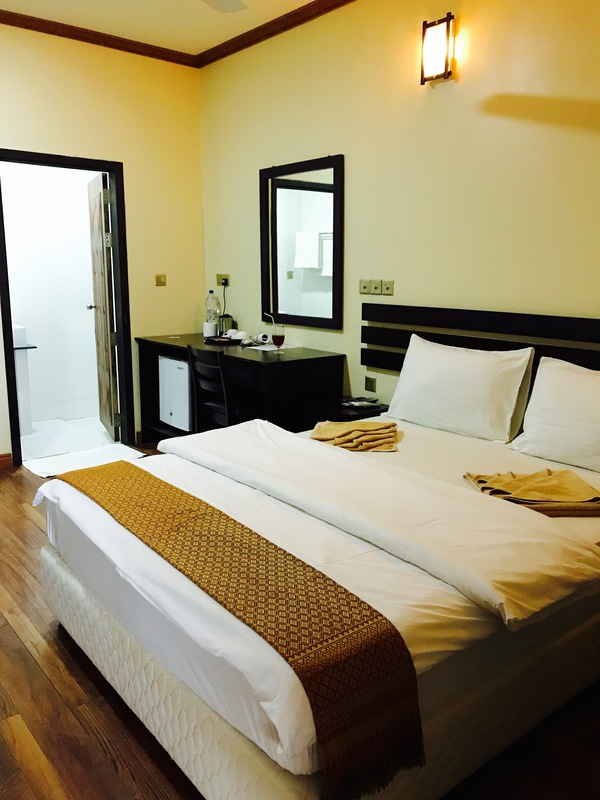 It offers 12 well-equipped modern rooms with good Wi-Fi, air conditioning, TV with plenty of various channels in English, hot and cold water shower. 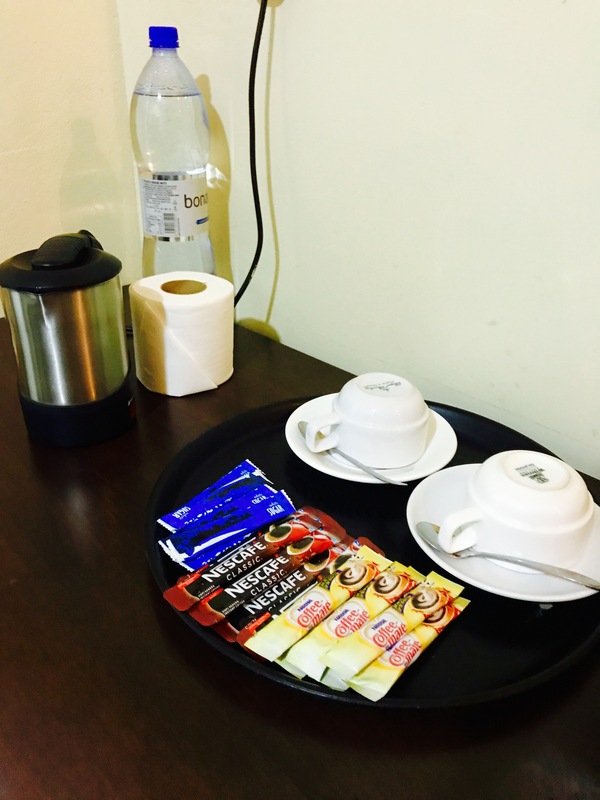 We were staying in a Deluxe Double Room with an amazing queen size bed, 2 towels each, toiletries, complementary coffee and tea powders and a bottle of water. There is a mini bar with small bottles of water too. We also had breakfast included in our booking at Bibee. 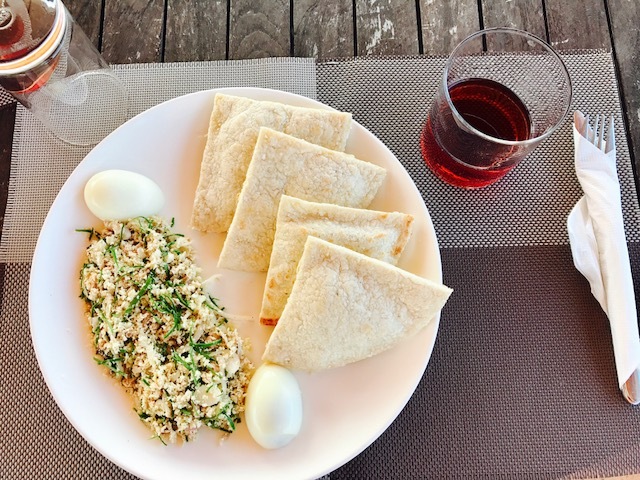 There are two options: The Maldivian breakfast which of course includes tuna fish and the continental breakfast with sausages and one egg. Both of them are simple but lovely. We also had a grape juice and powdered milk coffee. 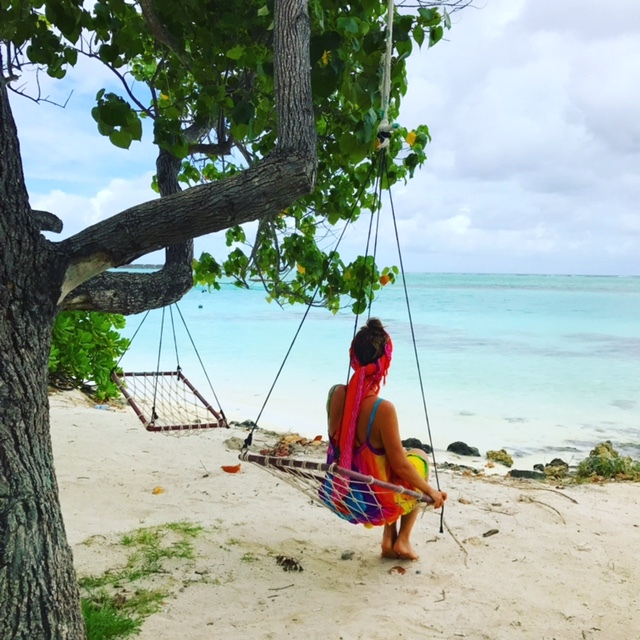 The hotel also offers some fun activities like for example the very popular Sand Bank Trips where you can walk on crystal white sand surrounded by tempting turquoise water. Nevertheless it can happen that the tiny island will be full with other curious tourists especially during the high season. Water activities like canoe riding, fishing, dolphin cruises are other possibilities to enjoy your vacation. In my opinion Dhiffushi is most suitable for a family vacation. We saw many happy families with kids who felt safe and could let their toddlers have fun in the water. If you want to expand your Maldives family holiday I would suggest to visit Ukulhas too. Find out here more about it. It looks so beautiful here. Another place to add to the list. Thanks for sharing. Bibee is a great place to stay I agree. I have been to every part of maldives. Dhiffushi is pretty much quiet i will say. You have written pretty good about it. I too did the Maldives on budget. 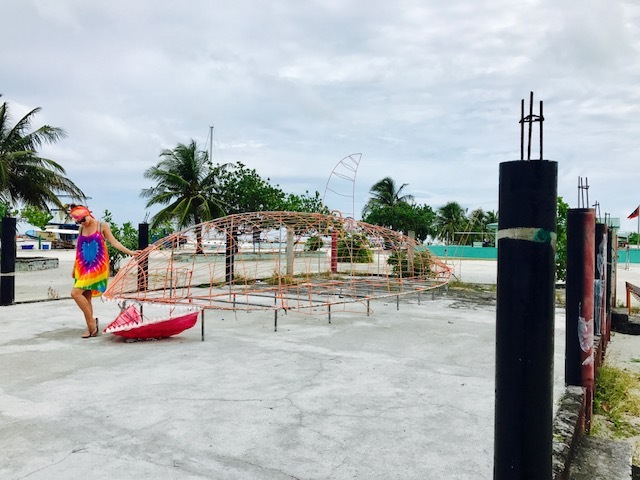 I went to the Maafushi island and it was as perfect as Dhiffushi seems to be. Though not a luxury spot by any means it too had similar small island vibe and crystal waters to boot. I could totally relate to your post! I would love to visit the Maldives, looks stunning in the pictures and great to see some more budget options. It looks like a great little place to go! And I love getting places by ferry – it’s always a scenic ride to and from. 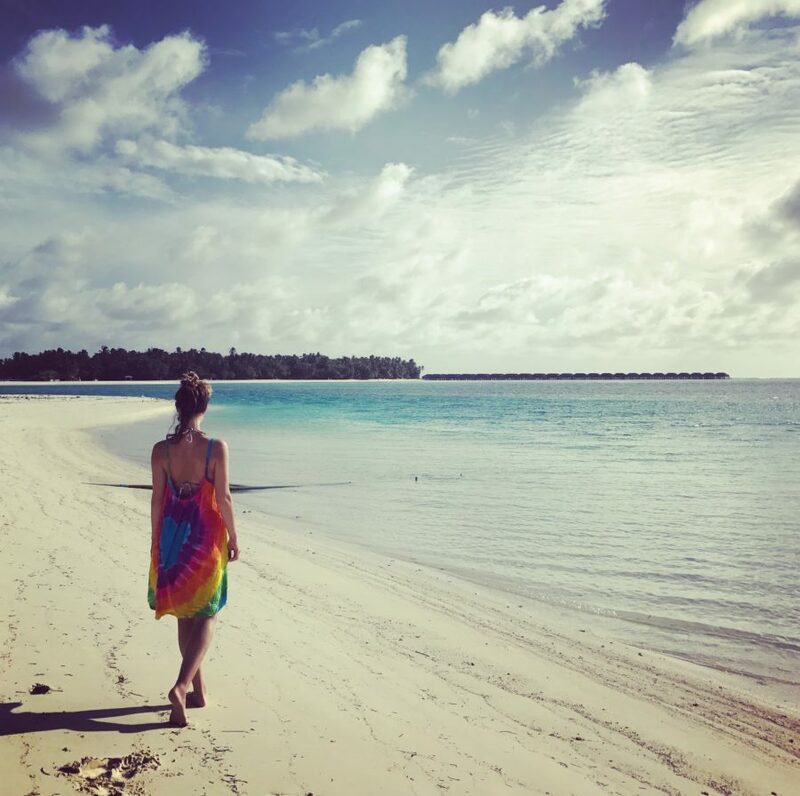 The Maldives have been on my radar for a visit since I went to Sri Lanka years ago, I had never even thought of doing it on a budget – I thought i’d never be able to afford it! I have never bbeen to the Maldives. This looks beautiful and accessible! Not sure about a speed boat tho. I’d stick to ferry!! Maldives is in my bucket list! Thanks for the tips. Your accommodation looks like a great deal! Maldives is also my dream destination! I want to explore it soon and will add this place to my itinerary. I know a few people who have been here and absolutely loved it, if your pictures are any indication on why they would I’m not surprised. It would be a long trip for me but looks worth it!